The Leica Builder 100 Series Construction Theodolite with Laser Plummet is a perfectly tailored tool for every construction job. This instrument is great for setting outboards, line layout, measuring area, transfer of reference heights and similar jobs. It features a laser plummet and a dual-axis compensation for a more accurate result. This survey tool also features Leica Laser Technology giving the precise measurement to corners and edges. Its intuitive graphical interface supports daily workflow and can work in all light conditions. Transferring of data is also easier using the USB port or Bluetooth feature. Plus, it includes an audible 90-degree notification. Having an environmental rating of IP55, it is dust proof and water resistant. It also uses the PowerSite software that is versatile and easy to learn. As an additional feature, it includes multilingual support with 25 available languages, keyboard, tribrach, Li-Ion battery, charger, user manual and a carry case. 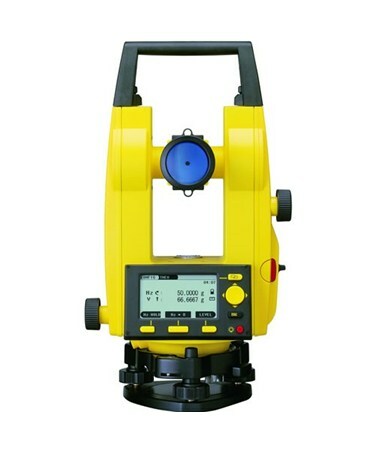 The Leica Builder 100 Series Construction Theodolite with Laser Plummet offers two accuracies. Please select your preference from the menu above.